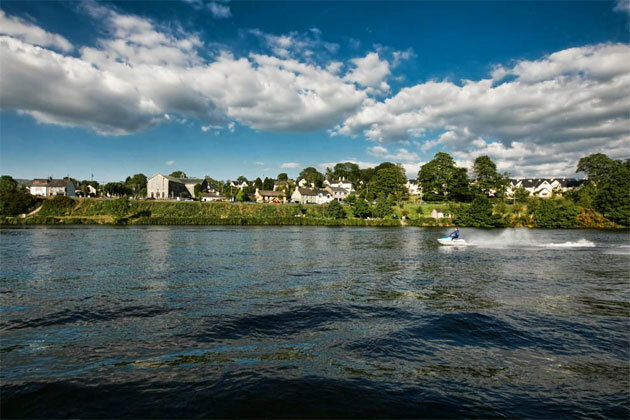 The town of Killaloe is the largest town on Lough Derg and is recognised as the biggest boating and fishing centre in the three counties of Clare, Tipperary and Limerick. This town is steeped in history beginning with the first settlement in the seventh century, and was once the capital of Clare and Ireland. The town hosts many events during the year, with the 'Feile Brian Boru' in mid-July, an occasion commemorating the High King of Ireland Brian Boru who lived here in the eleventh century. 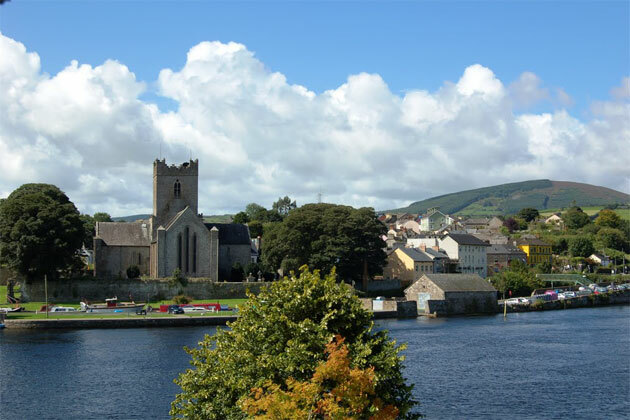 Also in July is the Killaloe music festival, which has become one of the highlights of the Irish classical music calendar and has attracted great musicians from all over the world. The festival takes place within the historic walls of St Flannan's Cathedral (built between 1185 and 1225). 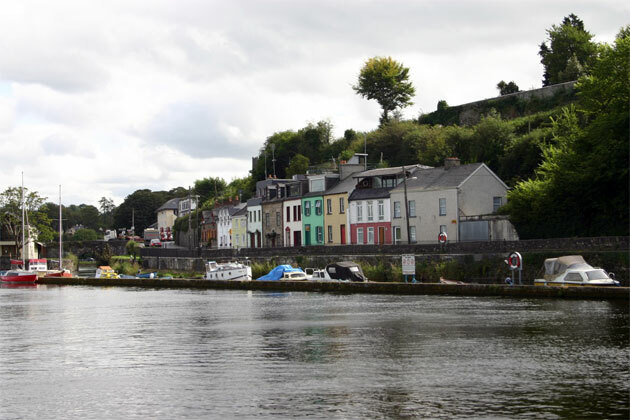 Killaloe is best remembered as the home of Brian Boru, a Dalcassian prince who became High King of Ireland in the eleventh century. Previous to this, the first abbey was built here by Saint Lua (hence the name Killaloe – Kill Lua, the church of Lua) in the seventh century AD, and was located in a small island on the Shannon about 1km from Killaloe Bridge. St. Flannan was the abbot of the abbey in the eighth century, and was son of the then High King and is the patron of Killaloe. 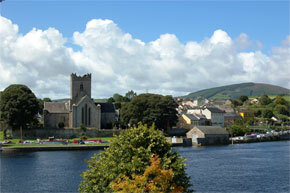 Killaloe continued to be an important town, with a role to play in almost every major conflict in Ireland. More recently, there was a whiskey distillery in the eighteenth century, and a thriving woollen and cloth industry. The Shannon Steam Navigation had their headquarters here, and established a regular transport of goods and people to Athlone, Portumna and Bangher, and from Banagher by canal to Dublin. In 1956 water-skiing was introduced to Ireland for the first time at Killaloe. Killaloe is a good centre for trout and coarse fishing on Lough Derg, with trout particularly good in May and in Autumn. Hiring a boat is advised. Doon Lough 8 miles from Killaloe is a very good coarse fishery particularly for bream, and boat fishing for large pike. The Cathedral in Killaloe is also name after St. Flannan, and was built in the thirteenth century on the site of the orignal cathedral built by Donal Mor O’Brien which was destroyed in 1185. There are many interesting stones and carvings in the cathedral. During the reformation, the cathedral was converted to a Protestant cathedral, and is still used for worship to this day. Inis Lua, sometimes known as Friars Island, was the site of St. Lua’s Oratory. When the Shannon hydroelectric scheme was instigated in the nineteen twenties, the church was moved stone by stone to a new site at the top of the hill beside the Church. 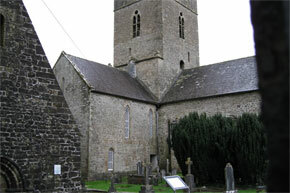 St. Flannan's Oratory, named after the patron of Killaloe, is a twelfth century Romanesque church in the town. The Aillebaun Walk starts in Killaloe and climbs to the site of the old High Kings palace at Kincora. There is a spectacular view of the Catholic church and St. Lua’s Oratory. Greenanlaghna Fort on the south easter slopes of Crag hill are the remains of a ring fort dating from the sixth century. The fort was abandoned in the late ninth century.